"Jack's in charge," said his mother, as she disappeared up the road to get help. "I won't be long." So 11-year-old Jack and his two sisters wait on the hard shoulder in their stifling, broken-down car, bickering and whining and playing I-Spy until she comes back. But their mother doesn't come back. She never comes back. And after that long hot summer day, nothing will ever be the same again. Three years later, Jack's 15 and still in charge. That’s the question Jim Cutter is asking, and the answers he’s getting aren’t reassuring. 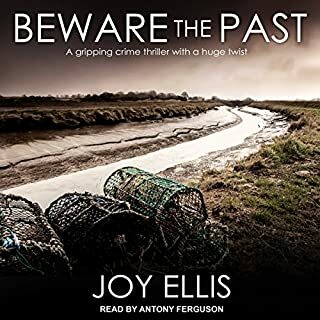 Albert Langley was a successful, well-respected criminal lawyer, but was he so good at getting criminals off that he was the victim of revenge - a debt his innocent family also paid in blood? 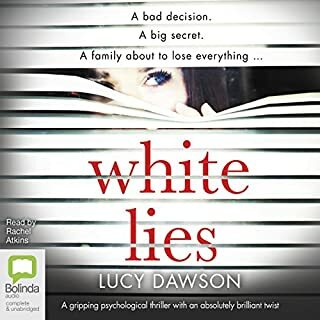 From the town’s criminally corrupt mayor to the tragic suicide of a talented student a decade before, Promise Falls has more than its share of secrets. And Jim Cutter, failed artist turned landscaper, need look no further than his own home and his wife Ellen’s past to know that things aren’t always what they seem. But not even Jim and Ellen are ready to know that their son was in the Langley house the night the family was murdered. 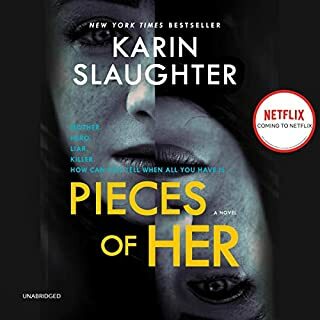 Suddenly the Cutters must face the unthinkable: that a murderer isn’t just stalking too close to home but is inside it already. For the Langleys weren’t the first to die and they won’t be the last. 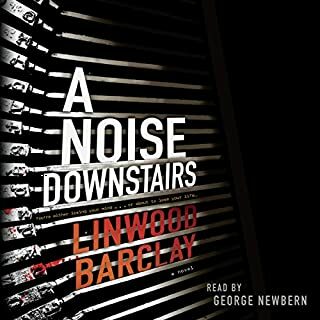 ©2008 Linwood Barclay (P)2008 Brilliance Audio, Inc. This book was on sale and I purchased simply because of that. The quality of the story and the price had little correlation. 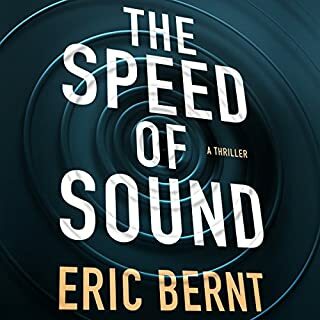 This was my first experience with audible and it's amazing. Linwood Barkley has a beautiful style of writing and I invite you all to embark on the journey this book takes you. I will definitely pick up a physical copy of this because I just have to have it. story. Sometimes the narrator was hard to listen to, he doesn't do the individual voices well, but it wasn't terrrible. I would recommend. This book is F@#$ing amazing! I have been searching for an author that can provide a suspenseful and thrilling murder mystery. 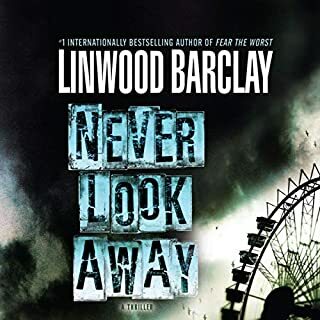 Linwood Barclay exceeded this, the plot development kept me obsessed the entire read. I especially loved the way the author described the characters and and as the plot developed so did the characters. 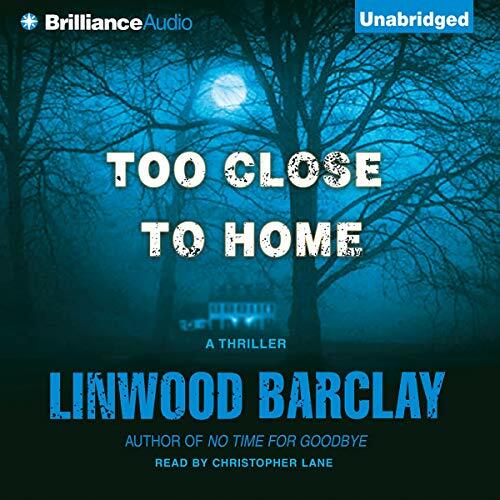 Linwood Barclay has easily become my favorite author and I've only read one book by him. I cannot wait to read more about the universe the author created called Promise Falls. What made the experience of listening to Too Close to Home the most enjoyable? Lots of twists, multiple subplots, definitely must pay attention to story. Well written and narrated. Good story. Christopher Lane did a great performance. Easy character differentiation with his tones and cadence. I thoroughly enjoyed this book. With all the underlying plots and motives the ending was a total surprise. Worth the $ or credit. What Happened to the Family Next Door? This is a good mystery and is easy to follow. 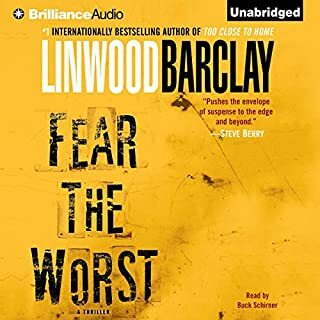 Linwood Barclay is an excellent story teller, and this one was enjoyable, interesting, and had a good amount of mystery. What happened to the family next door? The story had one glaring downside in that it took too long for the main characters to figure out that it's not about the family next door.... mistaken identity. It started off somewhat slow, but once the pace picked up, the pace remained consistently at an entertaining level. There are lots of twists and turns, some predictable and others not so much. A few surprises and unexpected twists. 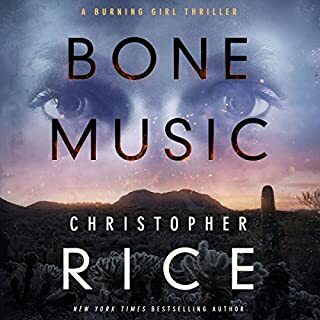 Christopher Lane is a top notch narrator ... one of audible's best. A good narrator bring life to the words telling the story, and helps elevate an average story to an above average story. 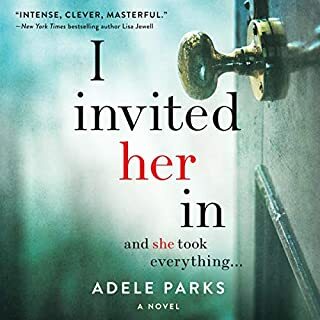 There are plots and subplots which will hook you from the very beginning (with a very likable main character to boot), so for that it would give it four stars. However, when the mystery finally unravels, it falls a little flat on its face--so for that I would have to take at least a half star away. Still, I will recommend it as an entertaining mystery. Christopher Lane, as always, does an excellent job with the narration. I really wanted to give this book five stars. Barclay is an excellent story-teller, and the book was thoroughly enjoyable, interesting, and entertaining. The only drawback was that parts of it were pretty predictable, and I was wondering why the main characters took so long to catch on. Other than that, it was one of the most enjoyable books I've heard in a while. I am so glad I caught this book, not only because it was entertaining, but also because I was told the story by Christopher Lane. 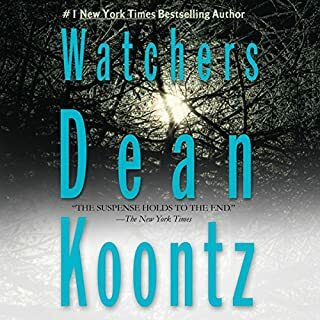 I wasn't sure if I had heard him before, but I looked back at my library and saw that he has performed in some Dean Koontz books that I've *read*. 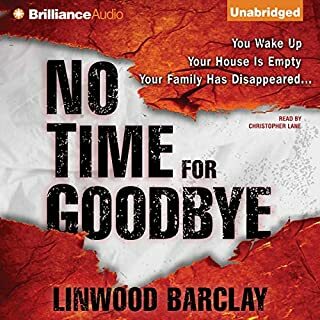 I didn't take notice before, but in "Too Close to Home," and in Barclay's "No Time for Goodbye" (which I also just recently listened to), I really came to appreciate Lane as a narrator. He's really top notch--one of the best. A good narrator really brings a book to life, and does make a difference. Wonderful job, Mr. Lane. As I started the book I thought, "What possessed me to buy this book?" Then it got a little better, then it didn't. This book is mostly back story and there is very little current story line. It moves slowly as all of the back story has to be told in order to conclude the plot. I found it very predictable and rather trite in many places. The characters are not very well developed. The narrator is only average. I had a difficult time separating one character speaking for another. 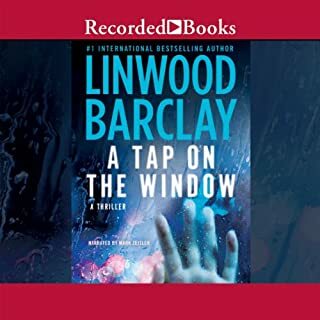 This is the first Linwood Barclay I have read. 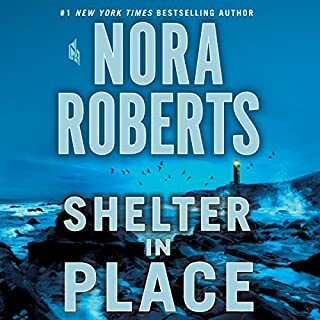 I chose it because a co-worker recommended the author, and this was the highest-rated one available from Audible at the time. I would categorize this as a thriller and mystery. 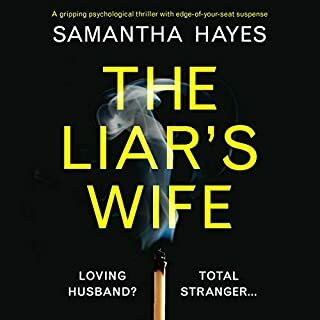 I liked the main character, Jim Cutter, because he's a straight-shooter, the type you find yourself liking even though he doesn't always do exactly the right thing. Though it started off a little slow, once the pace picked up, the story remained consistently entertaining. There are lots of twists and turns, some predictable and some not, which helped my commute go by more quickly. All that said, the experience of reading this was just okay. When I read something I really like, I can't wait to go jump back in the car to hear the next segment of the story. That just didn't happen with this. 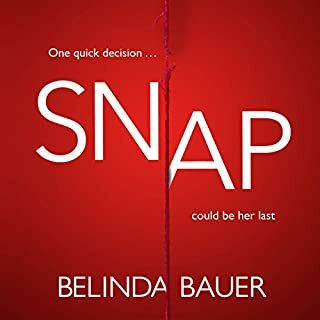 For me, three stars = I liked it (whereas four stars = really liked it and five stars = it was amazing -- the Goodreads rating system). I like the narrator, the author and the characters. The story is good, not great. But what surprised and bothered me was the completely gratuitous foul language. I am not opposed to nor shocked by the F-bomb when it is used appropriately. But Mr. Barclay OVER-used it, and other words, in my opinion. This story centers on a fairly average suburban American family, and they can' talk for more than 10 minutes with cursing. It distracted me from the plot, and I think it was a mistake for the author. Like most of Barclay story lines--these people live in a community made up of normal, everyday, working for a living, back yard bbq neighborhoods. They are friendly people who don't expect anything unusual to change their lives in any dramatic way--but one day something happens. Life changes for one family in particular. Like domino's falling over, each action creates another action, and it seems like it will never stop. 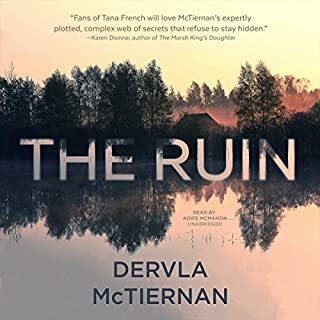 Very good writing--and the narration is spot on. If you want to take your mind off of your own troubles for awhile, read one of his--and your life may seem to be pretty good after all. Things could be so much worse. What a great story! Your regular family, going about their business until tragedy strikes in their neighborhood and their son is a suspect. 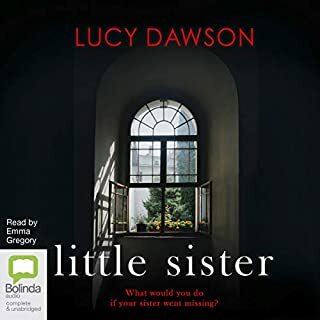 The mystery is good and you follow the family in an emotional and financial race to find out what happened to the family next door. If you haven't tried Barclay, this is a great one to start with. You will be hooked. Too close to home . 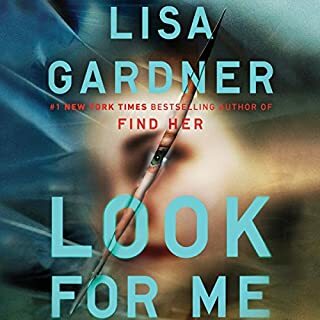 Proof that you really never get away with being sneaky Very suspenseful book , easy to listen too . A little lame in the mystery dept. I really enjoyed it though .